There are many opportunities to find interesting flying destinations in our “neck of the woods”, as illustrated in the January 2018 edition of AOPA Pilot Magazine. The article, “Wings and Wheels – Building an Aviation Ecosystem in Bike Country” concentrates on back-country airstrips near us in the Ozark Mountains of Northwest Arkansas that offer ways to combine aviation with rafting, hiking, camping, fishing, mountain biking and more. 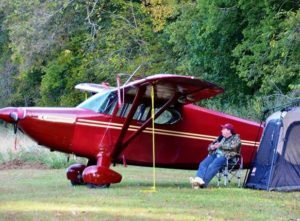 The article describes some lesser known back-country strips, such as “Ponca International”, a challenging airstrip built on a hillside near the Buffalo National River. Another back-country gem not far from 2A2 is Byrd’s Back Country Airstrip on the Mulberry River. It gives aviators access to hiking, rock climbing, camping and more. They also have a general store, a restaurant, cabins and regularly scheduled events. 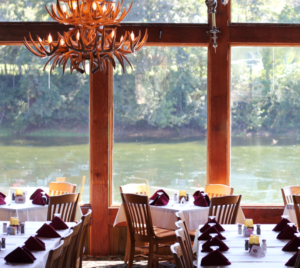 Gaston’s White River Resort, a 3,200 foot grass strip adjacent to the White River near Mountain Home, AR is a bit more “civilized” and is a regular detestation of many HMA’rs because of their restaurant’s delicious Sunday brunch. You’ll also find a unique gift shop, and for trout fishing it’s a world class resort with riverfront cabins. Check out the article in the January edition of AOPA Pilot Magazine or view it online HERE. AOPA also published another Ozarks aviation article in June 2016 which you can visit HERE. Posted in News, Public, Uncategorized. Holley Mountain Airpark © 2019.